Day after day I rose at 6am for a crisp morning walk along the sleepy streets of Sydney’s Roselle. My destination was a small weather board hall at the end of a colder-sac where an older lady taught Iyengar Yoga. I can still smell the wafting scent of eucalyptus as we practiced and see the filtered sunlight illuminating my moving limbs. One day after class as I was putting on my shoes, a man walked up to me and said ‘you have the light of the world in your eyes’…. I was 24 and on an exchange with the ABC as a radio journalist. What this man saw was a truth, movement lit me up and my yoga practice was a sacred space. In 2002 I left the radio and moved to New York to dance and there I became a yoga teacher. Young and old, Camilla seeks to empower her students with a rich knowledge of the boundless intelligence, integration and power present within them at a cellular level (and therefore their whole self) and reflected in the world around them. Together students and teacher prime engaged and intelligent moving lives by unravelling the beauty and the darkness, and all the delicious stuff in between. Camilla has danced for as long as she can remember and literally danced her way into yoga. 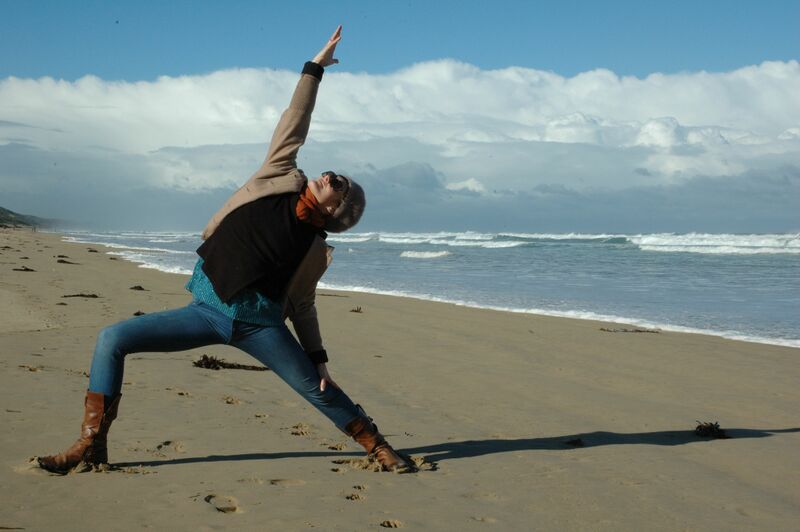 As a young practitioner, her passion and experience of movement and mind body connection was illuminated by the depth, clarity and heart opening philosophies of yoga. Camilla is now a certified Hatha Yoga teacher E-RYT 500, with several decades of movement investigations under her belt and close to a decade of teaching experience around the world. Yoga is a state of being. It is an opportunity, a choice to cultivate and nurture an intimate relationship with your whole self and therefore your environment. Yoga is about making connections, clarifying communication…. I relish every opportunity to chew over ‘what’ and ‘how’ we are and find mostly that the ‘who’ flows easefully from there. Right now, Camilla seeks the ease in the power and the power in the ease. Camilla adores working with children and she has children of her own. In London, back in 2008 Camilla developed Mini Motion Adventures (MMA). MMA took little children into the world of dance, yoga and learning through movement, to teach them about themselves – the bodies they inhabit and the spirit that animates them. Camilla is delighted that MMA is now at The Yoga Lab with teacher Jedda Davis carrying the torch. YOGA: John Friend (Anusara founder), Noah Maze (MazeYoga), Dounglas Brookes (philosophy), Carlos Pomeda (meditation & philosophy), Betsey Downing, Desiree Rumbaugh, Ross Rayburn, Julie Smerdon, Bridget Woods Kramer, Amy Ippoliti, Anna Ashby, Rebecca Parker. OTHER MOVEMENT PRACTICES: Alice Cummins (BMC), Martin Hughes (Contact Improvisation), Nita Little (Contact Improvisation), Chris Aikin (Contact Improvisation), Daniel Hargrave (Contact Improvisation) Andrew Morrish (Improvisation), Sten Rudstrom (Action Theatre). I am deeply passionate about investigating and inhabiting ourself across our various dimensions. I feel at home when I’m exploring and sharing this. Anusara Yoga taught me immeasurable amounts. I am currently deliciously embodying BMC and learning a whole lot more. I invite my students on a courageous journey. My offerings are creative investigations into the physical, philosophical and daily applications of yoga and our embodiment. They’re playful and packed full of bio mechanic information, at times; freestyle movement, partner work and explorations off the mat. Further to her yoga teaching and The WonderLab Project, Camilla specialises in Yoga & Movement Therapeutics. Camilla continues to study actively across a range of styles and modalities.